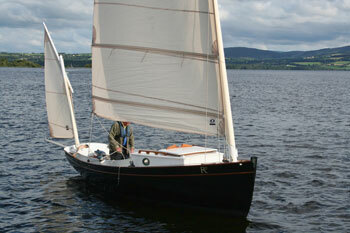 Brian J Goggin has very kindly sent me links to his pictures. 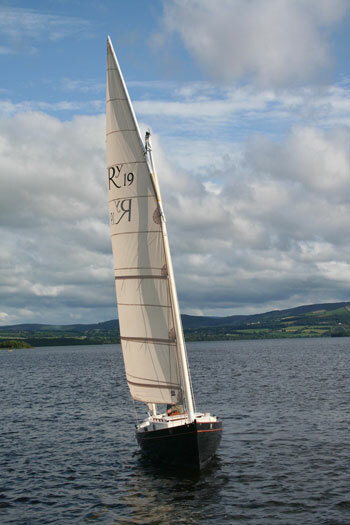 Brian is not a Romilly owner but was very struck by the elegant design so much so that he took many pictures of Romilly #19 a few of which can be found below, more are on a web site about Irish Waterway History here. 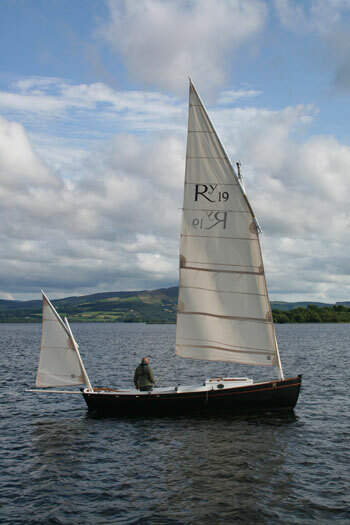 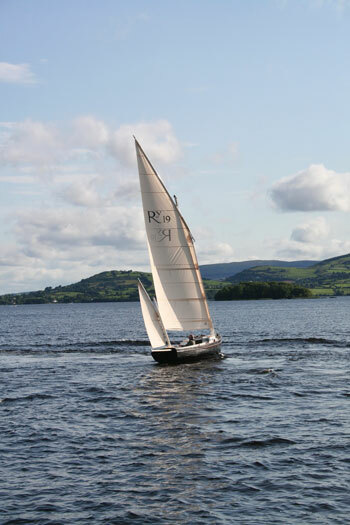 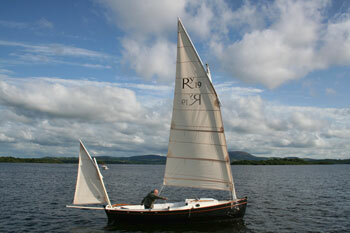 If this is your boat please get in touch and tell us a bit about her history and sailing grounds. 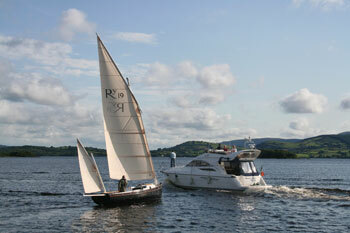 Romilly under sail meets motor cruiser under inconsiderate person!